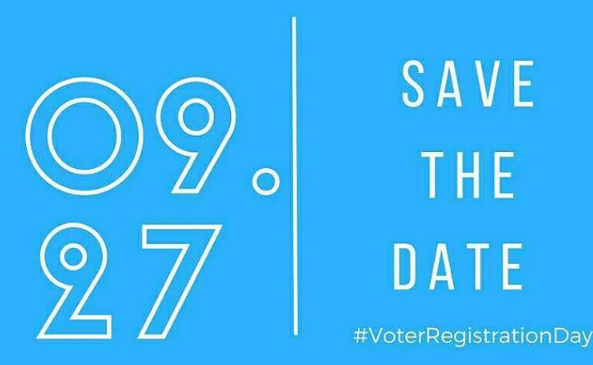 As we count down the days to this year's election, we wanted to make sure that you had all the helpful links, materials, and resources to register and educate your friends and family at your fingertips. That's why we've launched the 2016 Election Resource Hub, where you can find materials we've created at APALA and some of our favorite resources to direct eligible and registered voters to. Pledge to vote, and more! We know that there is a ton of great resources out there this election cycle, so we hope our resource hub can help you, your colleagues, friends and family find this as a useful stop in getting ready for November! Think we're missing something? 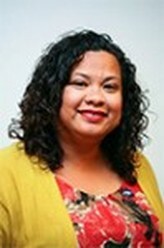 Please email Communications & Development Coordinator, Marian Manapsal, at mmanapsal@apalanet.org to tell us what resource we could add to the hub! Check out the election 2016 resource hub at www.apalanet.org/election2016 to find out how you can register to vote, see where candidates and elected officials stand on the issues, and see some example social media posts to spread the word, and more! 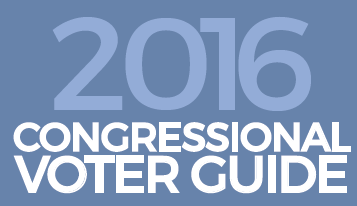 ​We’re proud to present our 2016 Congressional Voter Guide. Now in its sixth publication, the Congressional Voter Guide provides a report on a variety of actions taken by members of the 114th U.S. Congress on significant issues that affect Asian Americans and Pacific Islanders and their families. ​September 27 is right around the corner, and before you know it, it will be Election Day! Make sure you are registered to vote for this year’s election. If you haven’t registered to vote, please click here to register today. 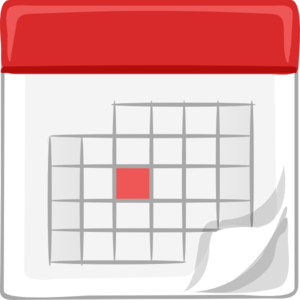 You can also find out how you can getting involved at one of the NVRD events or hosting your event today. 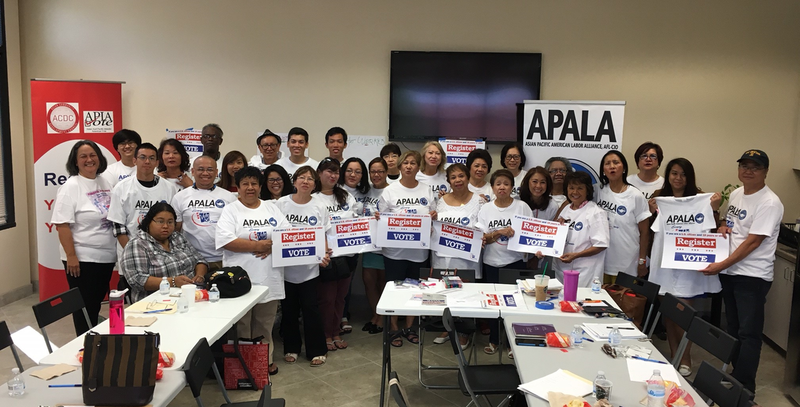 APALA's sister nonpartisan organization, the Institute for Asian Pacific American Leadership and Advancement (IAPALA), is proud member of the NVRD planning committee alongside MTV, the League of Women Voters, Bus Federation, Rock the Vote, and Voto Latino. 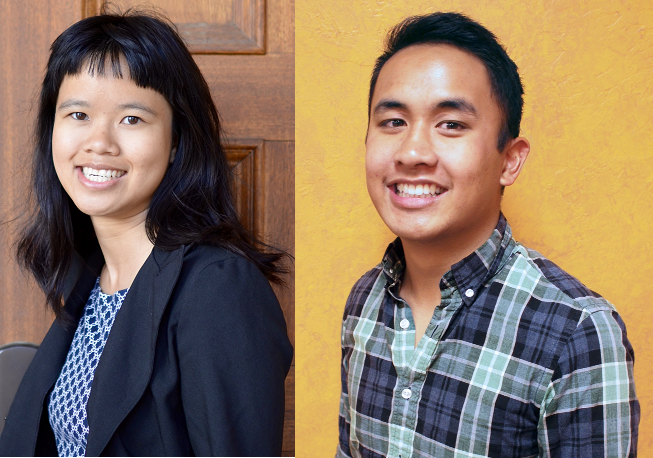 ​This week, we welcomed Minh Tran and Eddie Junsay as our National Fellows for Civic Engagement for our Los Angeles and DC/VA chapters, respectively! We’re thrilled to have them on the team to lead our on-the-ground efforts as part of our Every Vote Counts programs in the DC metro area and LA area. Both have field organizing experience and are excited to lead our local organizing efforts heading into November! Check out their bios here. Mark your calendars for APALA’s 14th Biennial Convention on August 16-20, 2017 in Anaheim, CA! 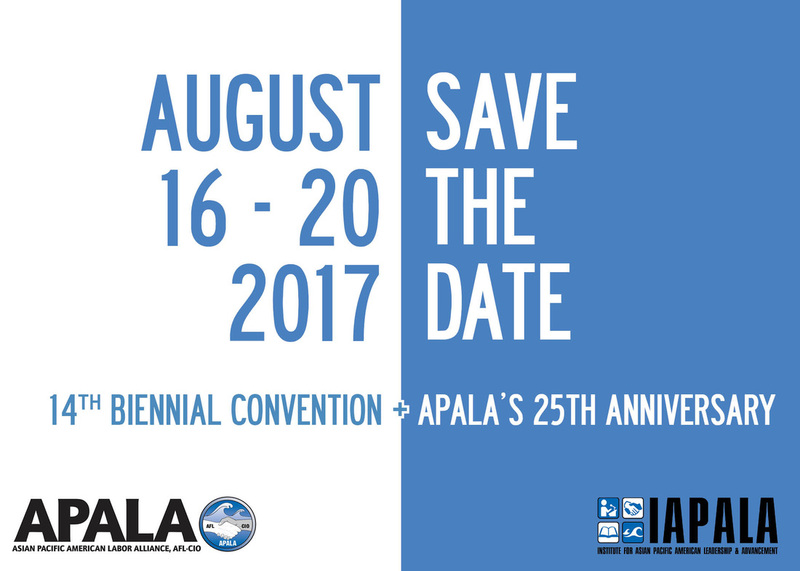 We’ll also be celebrating APALA’s 25th anniversary and IAPALA’s 5th anniversary, so please join us next August in Orange County! Stay tuned for more details on registration, featured speakers and more. In the mean time, you can book your room at the Hilton Anaheim for $175/night at bit.ly/con17ROOMS and use group code: ASA. 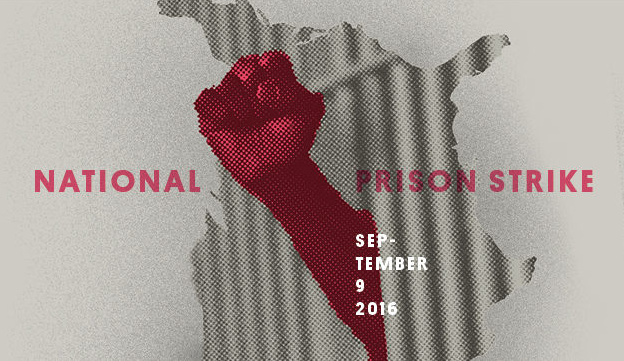 ​On September 9, 2016, prison inmates across the country kicked off a strike against the use of their forced labor inside, demanding an end to this legalized practice and better living conditions and prison policies. APALA rises in solidarity with these inmates whose labor has been exploited in an increasingly privatized industry. Please read APALA’s full release here. 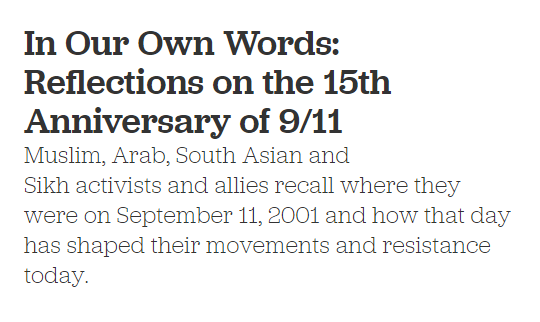 As we mark the 15th anniversary of 9/11, our ally Deepa Iyer collected reflections from Muslim, Arab, South Asian, Sikh activists and allies on how 9/11 has shaped their movements and resistance today. Read the stories from these inspiring individuals, including APALA executive director Gregory A. Cendana. We also joined the National Queer Asian Pacific Islander Alliance (NQAPIA) on 9/11 for a performative action in Washington, DC to demand an end to the legalized profiling of LGBTQ South Asian, Muslim and Black communities. Read more here. Following the July call for AAPI solidarity, APALA helped organize a joint a sign-on statement uniting AAPI and allied organizations to rise in solidarity with the Black Lives Matter movement and the movement for Black Lives. Over 100 organizations signed, and the statement is also available in Arabic, Bengali, Chinese, Hindi, Korean, Filipino and Vietnamese. In case you missed it, please check out our latest media releases and mentions! To view all media mentions, please click here. Events in Washington, DC and Las Vegas, NV. Candidate Forum with APALA Seattle. For more event information, please view here. ​Our Alameda chapter is working with local partners, including California State University East Bay, the Asian Pacific Environmental Network, and the California Teachers Association, to do voter education and mobilization. Also stay tuned for the details of phone banks with one of the esteemed labor councils! Chapter Leader Kent Wong was recently awarded the "Law and Justice" Award from the Chinese American Museum, which acknowledged Kent's great work with APALA! Check out the video here. 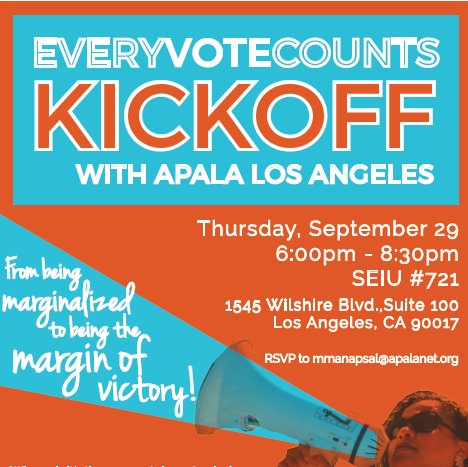 With the help of Civic Engagement Fellow Minh Tran, APALA LA is kicking off their Every Vote Counts program on September 29, which will be followed by a target phone banks! Also, please stay tuned for a press conference targeting unions with large AAPI populations. Our chapter in Michigan is putting together voter registration drives with partners, like the A. Philip Randolph Institute and other local organizations. Members are also working to better engage the Arab community in Dearborn! ​The Nevada chapter is leading a coalition of local organizations in civic engagement and voter registration. Members have been conducting voter registration events throughout markets and malls, particularly training folks on how to vote at a voting booth. Nevada will be hosting an NVRD event on September 27th at Seafood City – all are welcome! ​APALA New York has been working tirelessly to register eligible voters across the boroughs. Earlier in August, members held a voter registration drive at the Asian Festival on Long Island and co-sponsored a Candidates Forum for Assembly District 65 at the Chinese Consolidated Benevolent Association. 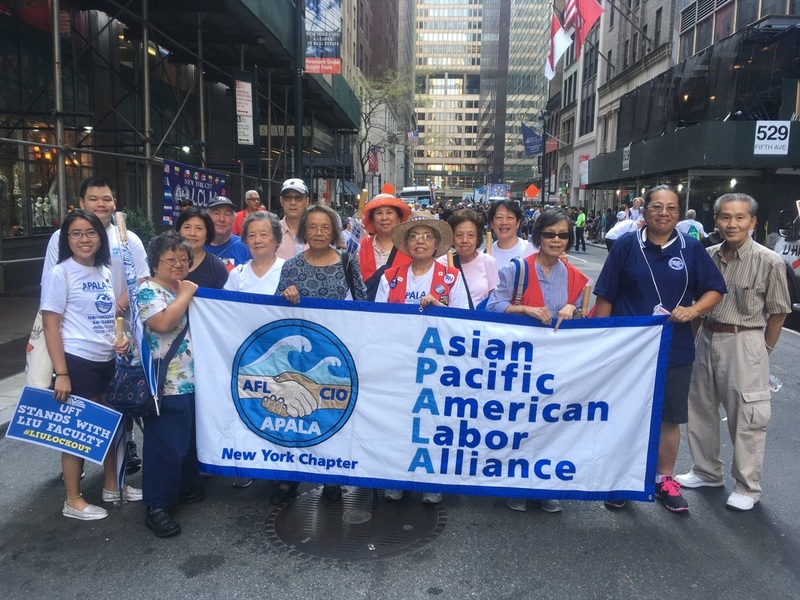 In addition, members participated in NYS AFL-CIO convention and distributed literature and membership forms for the constituency groups and celebrated AAPI workers in New York’s Labor Day Parade. New York members have been phone banking four days a week and will continue to work with local partners and the New York State AFL-CIO to register and mobilize voters. ​Our Sacramento chapter will be working with IBEW locals, Sacramento Labor Council and Alameda Labor Council in pushing our civic engagement efforts in CA! 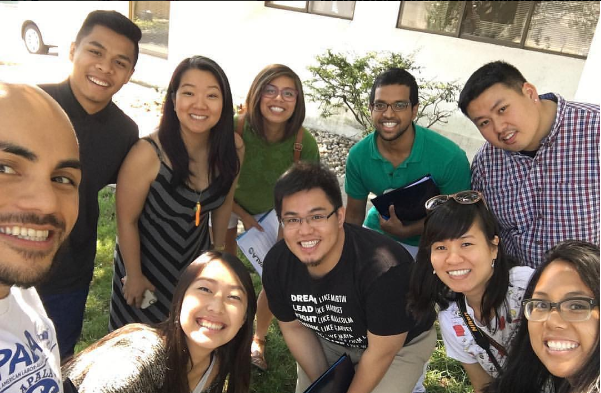 ​APALA San Francisco too has been a busy bee! 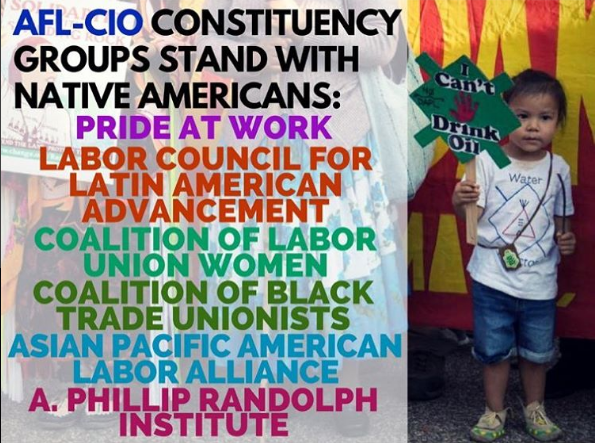 Members are planning phone banks in conjunction with the San Mateo Labor Council as well as with the San Francisco Labor Council, and will be working with union locals on voter mobilization. Seattle is working to partner with local Asian American coalitions, including supporting a UNITE HERE Local 8 Initiative to protect workers from sexual harassment and to provide affordable family insurance. In addition, APALA Seattle will be hosting a candidate forum on October 13, so stay tuned for more details! Back in DC, Eddie Junsay has joined the APALA team as a Civic Engagement Fellow and will be leading DC/VA chapter voter engagement and mobilization program through the election. The DC/VA chapter will be working closely with the Virginia Labor Council in getting voters registered, educated and mobilized! To get involved with our upcoming voter registration drives in DC, please fill out this form. 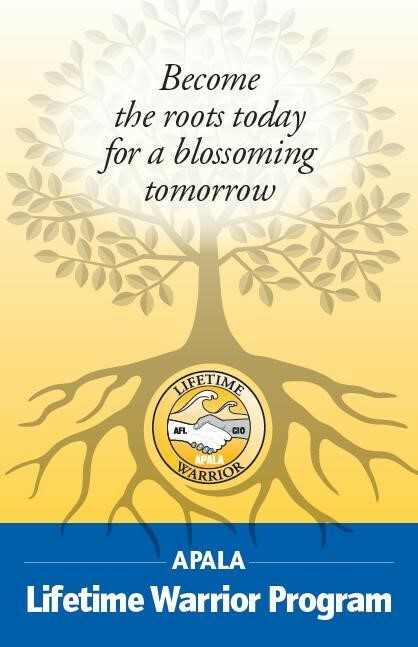 Sign up to become a Lifetime Warrior today!